This weekend, Rent Live played on Fox. If you don’t know, Rent is a musical written by Jonathan Larson in the 90s, which was influenced by the opera La Vie Boheme by Giacomo Puccini. Here’s a synopsis we found on google. In this musical, set at the dawn of the 1990s, a group of New Yorkers struggles with their careers, love lives and the effects of the AIDS epidemic on their community. Mark, an aspiring filmmaker, and Roger, an HIV-positive musician, scramble for money to pay rent to their landlord and former roommate, Benny. Meanwhile, their friend Tom, a professor, has fallen for Angel, who is slowly dying of AIDS. Heavy stuff, right? The soundtrack includes great songs such as Seasons of Love, Take me or Leave me, Tango: Maureen, Out Tonight, I’ll Cover You, Over the Moon, One Song Glory, Your Eyes, What you Own, La Vie Boheme, I Should Tell You, Another Day, Light my Candle, and many more. 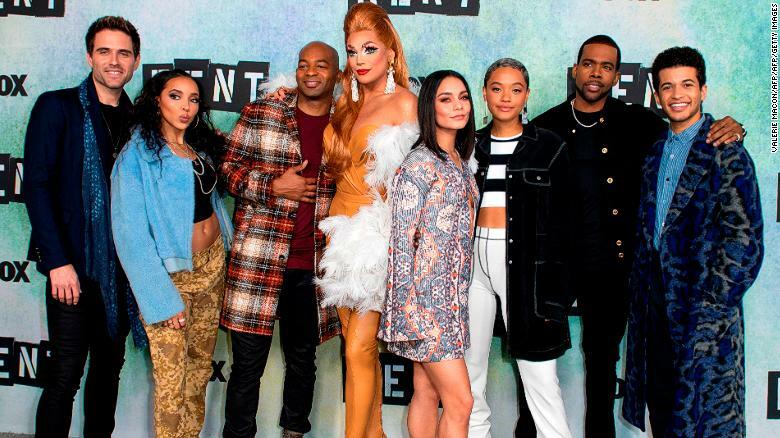 The cast of the live version of Rent included Jordan Fisher as Mark Cohen, Brennin Hunt as Roger Davis, Vanessa Hudgens as Maureen, Tinashe as Mimi, Kiersey Clemons as Joanne, Brandon Victor Dixon as Tom Collins, Valentina as Angel, and Mario as Benjamin Coffin III.